Posted in: USTA, WTA. Tagged: 2014, atlanta, CA, california, carson, georgia, melanie oudin, nicole gibbs, open, stanford, us, usa, usta, wild card, wta. 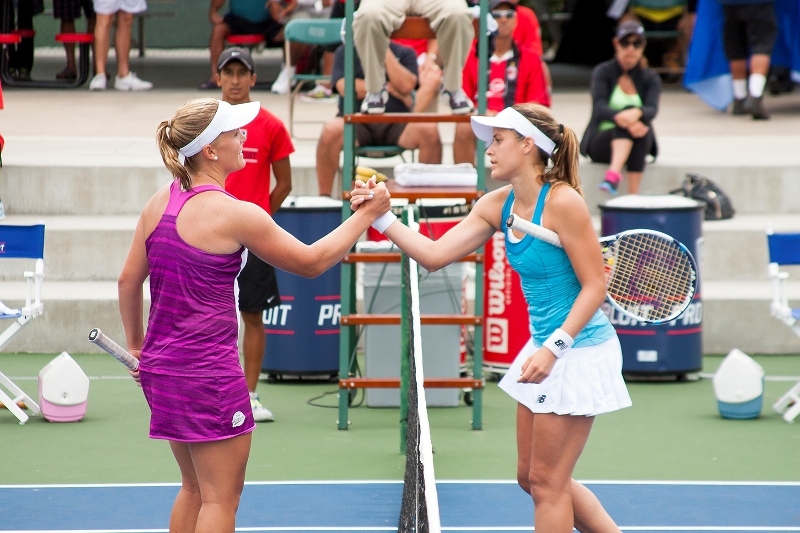 CARSON, July 20, 2014 – Nicole Gibbs moved another step closer to playing in her third consecutive US Open main draw, capturing the USTA Player Development Women’s $50,000 Classic with a 6-4, 6-4 win over Melanie Oudin on Sunday at the USTA Training Center – West at StubHub Center. Gibbs, 21, is a two-time NCAA singles winner at Stanford and earned wild-card entry into the season’s final Grand Slam the past two years by way of those wins. The final of the three-event US Open Wild Card Challenge is the Lexington, Ky., $50,000 Challenger to be played this week. It was a tight battle throughout in the final on Sunday with Gibbs holding a 4-2 lead in the second set, before the sole of her shoe came partially off. Admitting she started to “panic,” Gibbs fell down 4-all, 40-love with Oudin serving. Gibbs then played a solid point, was aided by an untimely Oudin double fault and ultimately broke back to serve for the match. 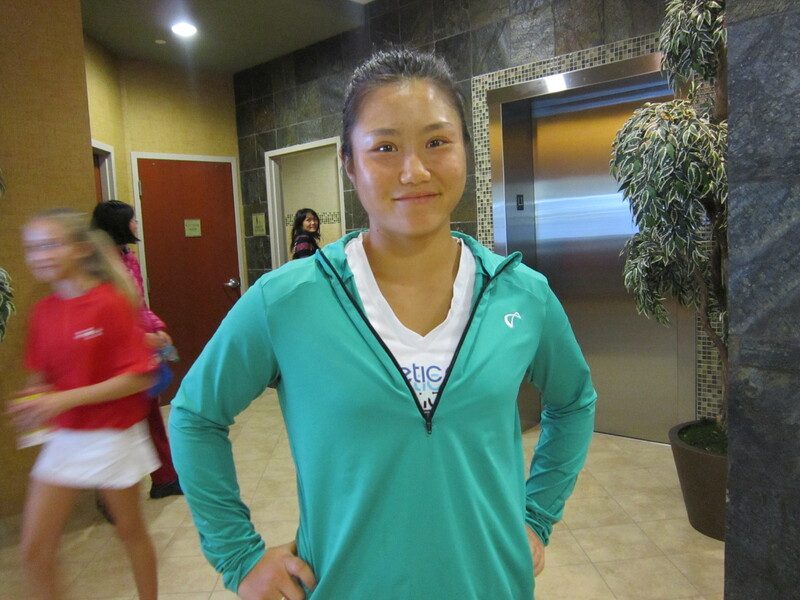 “Tennis is like that sometimes,” said Gibbs, who won this event last year when it was held in Yakima, Wash. Without a spare pair of tennis shoes, Gibbs contemplated wearing running shoes, but opted for a tape job instead, which seemed to do the trick. Oudin’s first-round loss in US Open qualifying last year to Elena Baltacha ended a streak of five consecutive main draw appearances at the US Open, which of course included her quarterfinal run there in 2009. Posted in: Atlanta, Australian Open, WTA. Tagged: atlanta, australian open, grace min, nicole gibbs, Sachia Vickery, usta, wild card playoffs, women. Despite the rankings, the matches are remarkably competitive in Norcross, Georgia. 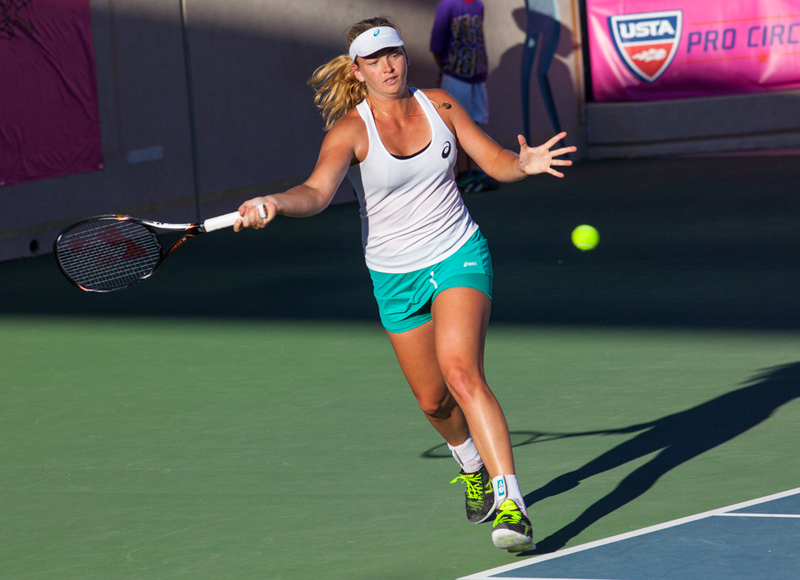 And close women’s matches were the rule today at the USTA Australian Open Wild Card Playoffs at Lifetime Athletic. Court 7, which functions as Center Court, saw the first action and a topsy-turvy two set win for Victoria Duval over Maria Sanchez. Duval was able to finish off the match after some aggravation to her left knee. She got huge crowd support, having trained at the facility in the past. On Court 5, Atlantan Grace Min continued to make the home crowd cheer with an extended 4-6, 6-4, 7-5 win over Nicole Gibbs. Gibbs was argumentative and testy near the end of the match, declining to shake hands with the chair umpire and continuing to argue as she packed her bag and left the court. In an attempt to evade the throng of spectators on her way off court, she slipped through the back curtain, finding herself alongside the food concession employees and the cash register area, to the bemusement of the beer guy. The most interesting women’s match was likely the Madison Brengle/Sachia Vickery contest. Brengle snatched defeat from the jaws of victory on several occasions, and the poise and point construction by Vickery in the third set booked her a place in tomorrow’s semis. Top-seeded Shelby Rogers eased past Sanaz Marand 6-4, 6-2. Marand was a last-minute replacement for Julia Cohen. On the dubious honor of being the top seed, Rogers said “We’re all so close in rankings anyway, we all know each other’s games. That’s why you play the matches”. FLUSHING, N.Y., August 14, 2013 – The USTA announced today that two-time NCAA singles champion Nicole Gibbs, U.S. Fed Cup team member Vania King, rising young Americans Alison Riske, Shelby Rogers and Maria Sanchez and USTA Girls’ 18s national champion Sachia Vickery are among those receiving wild-card entries into the 2013 US Open. Australia’s Ashleigh Barty and France’s Pauline Parmentier also will receive US Open main draw wild cards. 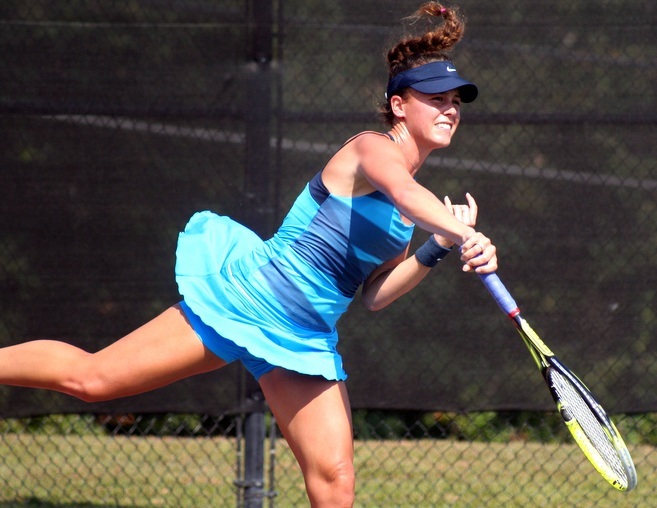 Gibbs, 20, of Santa Monica, Calif., won her second consecutive NCAA singles title this year as a junior at Stanford. Gibbs turned pro this summer and won the singles title at the USTA Pro Circuit $50,000 event in Yakima, Wash., ascending to a career-high rank of No. 166. She is now ranked No. 172. King, 24, of Boynton Beach, Fla., has finished in the Top 100 each of the past four years. Once ranked No. 50 in the world, King won her first WTA singles titles as a teenager in Bangkok in 2006 and has represented the U.S. in Fed Cup eight times from 2006 to 2011. This year, she qualified for both the French Open and Wimbledon, reaching the second round at Roland Garros. Riske, 23, of Pittsburgh, reached the semifinals of the WTA event in Birmingham, England, this summer, where all of her WTA main draw wins had come to that point. Then, after receiving a wild card into the Wimbledon main draw, she reached the third round there and broke into the Top 100 for the first time shortly thereafter. She is now ranked No. 98. Sanchez, 23, of Modesto, Calif., once was the No. 1-ranked college singles player at the University of Southern California and has been hovering around the Top 100 much of this year. Now ranked No. 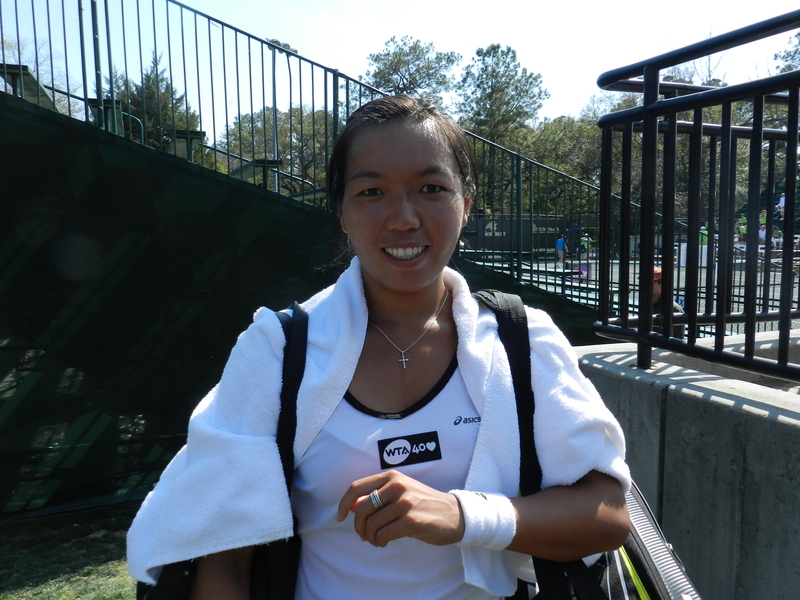 113, Sanchez won singles titles at both $75,000 and $50,000 USTA Pro Circuit events in 2012. 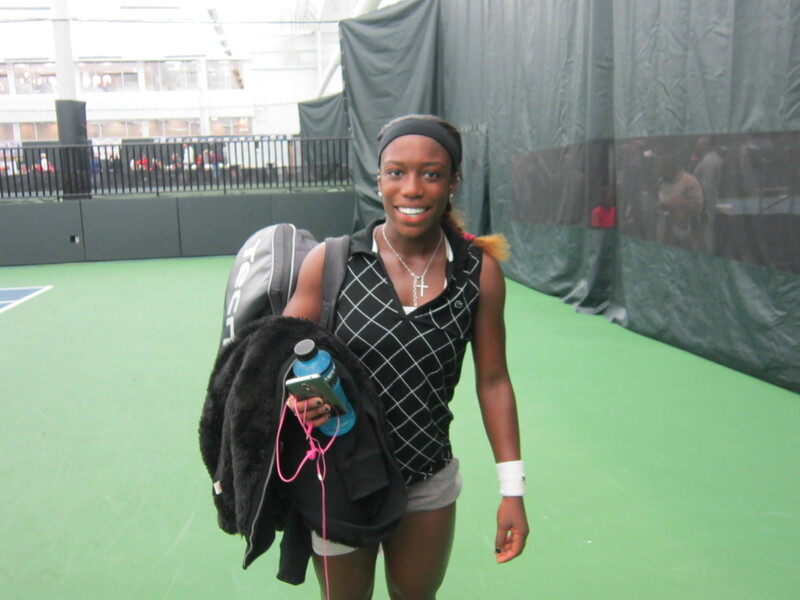 Rogers, 20, of Charleston, S.C., earned her US Open wild card as the top American points earner at select USTA Pro Circuit hard-court events this summer. Rogers, who earned a USTA wild card into the 2013 French Open the same way and reached the second round at Roland Garros, has won two USTA Pro Circuit $50,000 titles in 2013. She is ranked No. 132. Vickery, 18, of Hollywood, Fla., received a US Open wild card after winning the USTA Girls’ 18s National Championships singles title. Formerly the No. 6-ranked junior in the world, Vickery is now at a career-high pro ranking of No. 229. She trains at the USTA Player Development Headquarters in Boca Raton, Fla.
Barty, 17, of Ipswich, Australia, received a wild card through a reciprocal agreement with Tennis Australia, which will grant an American a wild card into the 2014 Australian Open, to be determined by a USTA playoff. (Madison Keys was the 2013 winner.) The 2011 Wimbledon girls’ singles champion, Barty was a women’s doubles finalist at both Wimbledon and the Australian Open this year. Parmentier, 27, of Paris, France, received her wild card through a reciprocal agreement with the French Tennis Federation, which awarded a wild card into the 2013 French Open to an American player designated by the USTA. 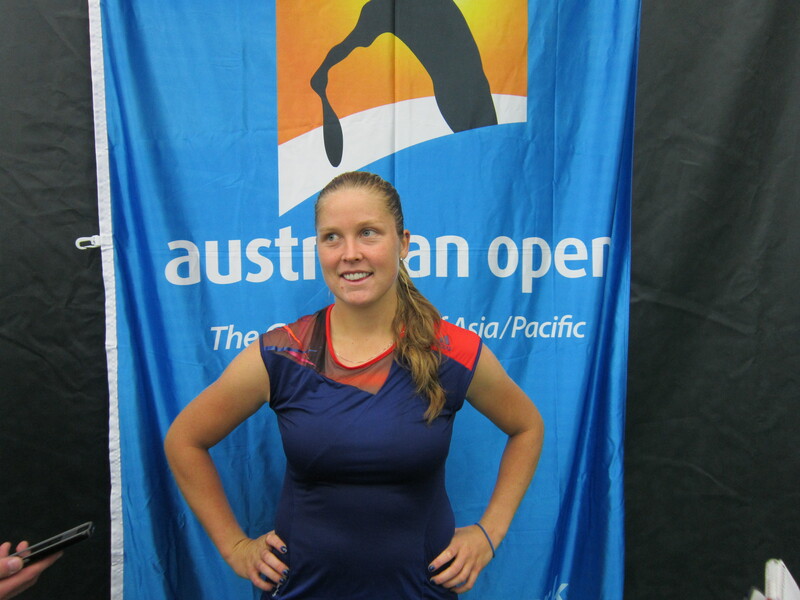 (Shelby Rogers won the USTA Pro Circuit event-based system this year.) A former Top 40 player, Parmentier reached the third round of the 2012 US Open and has been in the Top 100 for most of 2013. In addition to the eight US Open women’s singles main draw wild cards, the USTA also announced eight women who have been awarded wild card entries into the US Open Qualifying Tournament, which will be held August 20-23 at the USTA Billie Jean King National Tennis Center. One additional US Open qualifying wild card will be awarded to the winner of the 2013 US Open National Playoffs – Women’s Championship, taking place August 16-19 in New Haven, Conn.
Players receiving 2013 US Open qualifying wild cards are: Jan Abaza (18, Deerfield Beach, Fla.), who has won two pro doubles titles in 2013; Brooke Austin (17, Indianapolis, Ind. 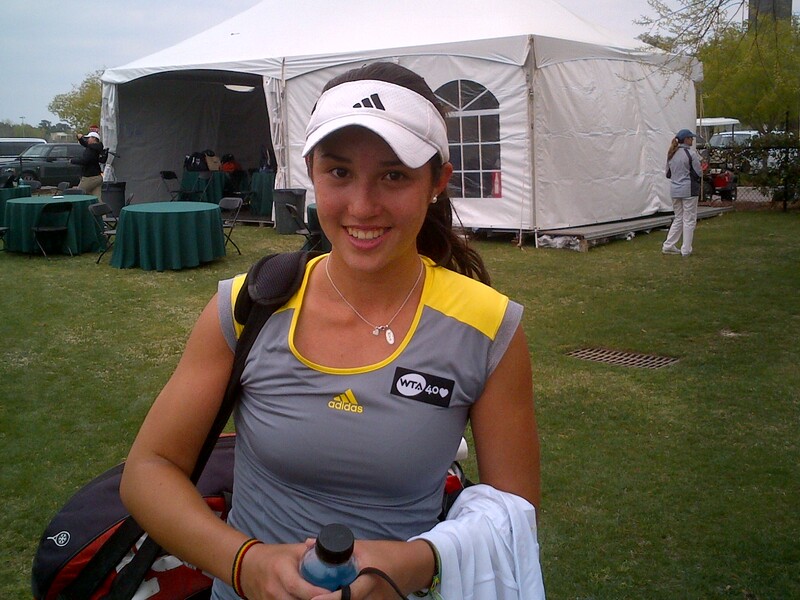 ), a USTA Girls’ 18s National Championships semifinalist; local teenager Louisa Chirico (17, Harrison, N.Y.), who reached the girls’ singles semifinals at both the French Open and Wimbledon this year; Victoria Duval (18, Delray Beach, Fla.), the 2012 USTA Girls’ 18s national champion; Allie Kiick (18, Plantation, Fla.), this USTA Girls’ 18s National Championships singles runner-up and doubles champion each of the last two years; local teenager Jamie Loeb (18, Ossining, N.Y.), a 2013 Wimbledon junior singles quarterfinalist; Brianna Morgan (19, Beverly Hills, Calif.), a freshman at Florida this year who won her first pro singles title in June; and Taylor Townsend (17, Chicago), who made history in 2012 as the first American girl in 30 years to hold the year-end No. 1 world junior ranking. The 2013 US Open will be held Monday, Aug. 26, through Monday, Sept. 9. Tickets for the 2013 US Open can be purchased four ways: 1) at USOpen.org; 2) by calling Ticketmaster at 1-866-OPEN-TIX; 3) at all Ticketmaster outlets; or 4) at the USTA Billie Jean King National Tennis Center box office.